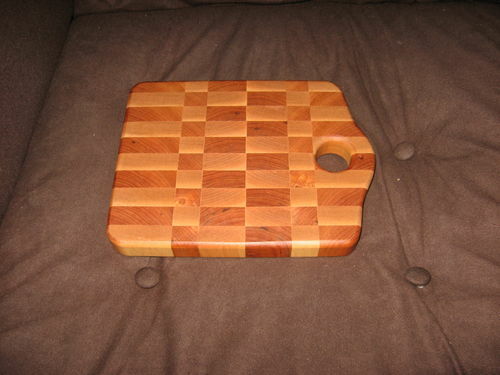 Here’s the smaller cutting board I had posted yesterday, finished and the larger one that I had started. 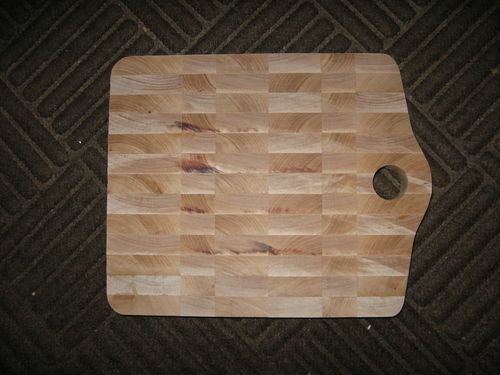 I still need to sand and round over the edges of the larger board then apply the mineral oil. 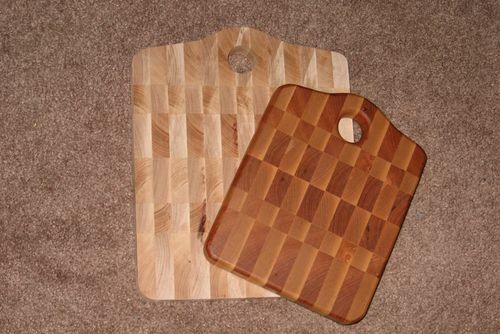 The boards are made from Cherry and Birch. They are endgrain with 1/4 inch roundover on the edges. The smaller board is 7 1/2×9 1/2 and the larger board is 9 1/2×12. Thanks for looking. Nice contrast on the smaller one now. The bigger one looks great too.